Owner Elaine Voci, RN, BSN began this vision as early as 1991 when she brought medical skincare services to the Charlotte area. The reason for vocimedspa’s longevity rests in Elaine’s dedication to offering only services and products that are medically proven. With extensively trained Nurse’s, Estheticians and Therapists, we are proud to offer a wide variety of services including medical skin care, Botox and dermal fillers, massage therapy, body treatments, laser hair removal and skin tightening, cellulite reduction, nail treatments and much more. 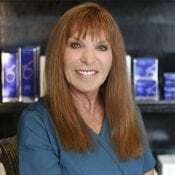 Owner Elaine Voci, RN, BSN began this vision as early as 1991 when she brought medical skincare services to the Charlotte area.The reason for vocimedspa’s longevity rests in Elaine’s dedication to offer only services and products that are medically proven. With extensively trained Nurse’s, Estheticians and Therapists, we are proud to offer a wide variety of services including medical skin care, Botox and dermal fillers, massage therapy, body treatments, laser hair removal and skin tightening, cellulite reduction, nail treatments and much more. At vocimedspa, we address medical anti-aging skin care as well as relaxation facial programs. Our skin care is perfect for men, women, and teens because we personalize each service to individual skin types. vocimedspa rounds out clients’ skin-care programs with the best medical products, which may include VociSkin, Obagi, ZO Skin Health & Yonka. Tulane University of Public Health in New Orleans, LA. at Emory University in Atlanta, GA in 2009. Currently practicing Emergency Medicine at several Carolina’s Medical Center facilities in the greater Charlotte area. 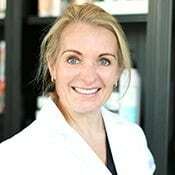 With over 27 years of medical aesthetic experience, advanced injector, Linda Mckinney, RN is able to provide her patients with the best care possible. She has extensive experience in various laser techniques, micropigmentation / permanent make up application, Kybella, neuromodulators such as Botox and Xeomin, and dermal fillers such as Juvederm, Voluma, Volbella, and Radiesse. In addition to providing medical aesthetics treatments at Voci MedSpa, she is a practicing virtual critical care RN. Linda is a North Carolina native from Grandfather Mountain. She graduated as valedictorian from King’s College and Carolinas Healthcare Mercy School of Nursing. She went on to obtain advanced training in Arlington, Texas in Micropigmentation. Various accomplishments include OSHA RN certification, nominated “Best 100 Nurses 2016” and certifications as an expert injector. Patients enjoy Linda’s gentle touch and unique ability to correct aesthetic concerns. Please turn off your mobile phone and/or device when inside the spa to maintain a serene ambiance and in consideration of other guests. We love children. However, due to safety and insurance purposes and convenience of other clients, please do not bring your child(children) under the age of 10 to the Spa without another adult present to supervise them. For multiple appointments, spa packages & group appointments, vocimedspa requires 48 hours notice for cancellations/rescheduling and 24 hours notice for all single appointments. No Shows charged full-service price & late cancellations 50% of full scheduled appointments. If less than the required notice is given, vocimedspa reserves the right to charge 50% of the full scheduled session. If for any reason vocimedspa needs to reschedule or cancel an appointment, as much advance notice as possible will be given. vocimedspa is constantly expanding our services. Although we make every effort to keep our website and spa menus updated, please note that prices and services are subject to change at any time. Skin care products can only be returned for spa credit only and if presented with a receipt within 14 days of purchase and products need to be at least 3/4 full. Clients who arrive late will be charged in full for their scheduled sessions but will receive a prorated session. If you arrive late, vocimedspa will make an effort to accommodate your full appointment. Service time may have to be shortened to avoid delays for other guests and are charged at full value. Spa guests must be 18 years of age or older to receive treatments without the approval or accompaniment of an adult. Any client under the age of 18 must have a consent signed by a parent or legal guardian.